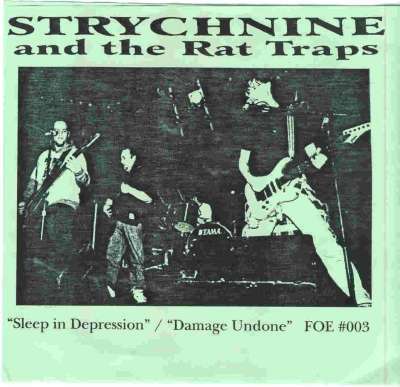 FOE 003 Weston / Strchnine and the Rat Traps Split 7"
First press was limited to 500 copies on green vinyl. Second press was limited to 150 copies on green and white swirled vinyl. 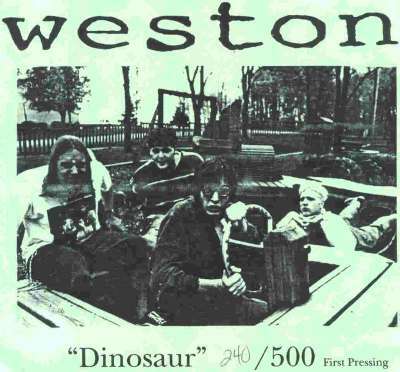 Weston contributed the song "Dinosaur" while Strychnine contributed "Sleep in Depression" and "Damage Undone". 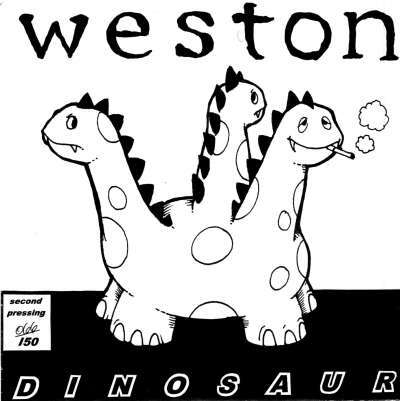 By the time of this release Chris Benner had left Weston to be replaced by Smilin' Jim. Chris was on this recording. The rest of the line up was Dave, Chuck & Jeremiah. "Dinosaur" was recorded by Bob Francis Aquaviva at ACQROK studios. 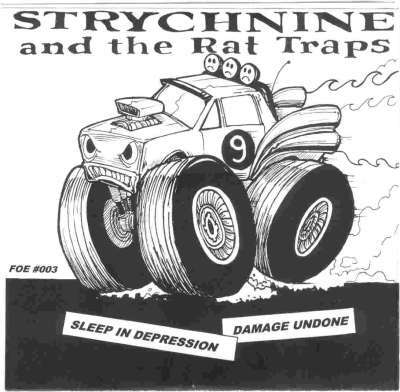 Strychnine and the Rat Traps were Pete, Dave, Forrest and Mike. These songs were recorded at Noise New York with Kramer. Both Dave and Pete were in the band Forthright before starting Strychnine and the Rat Traps. Forrest is now a professional ice skater. Cover artwork on the second pressing was created by Scott Gursky. The photos (although horribly reproduced here) were masterfully taken by Jen Whitman.